The bathroom is where we begin and end each day, with a variety of routines designed to help keep us healthy. It is also a hotspot for overindulgent water use, excessive paper waste, chemically-loaded cleaning products and lots and lots of plastic. 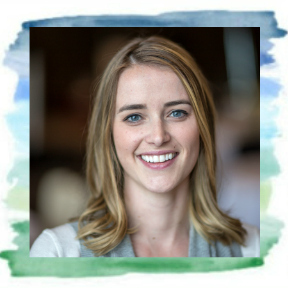 Have you ever thought that the decisions you make in the bathroom can not only affect you and your family, but also affect the health of the planet we call home? Use these 5 tips to green your bathroom and reduce your impact on the planet. 1. Clean the air. The bathroom is usually the most humid room in the house. Excess humidity causes mould which can spur allergies, asthma and other respiratory issues. Make sure your bathroom is ventilated properly by opening windows, installing an exhaust vent, turning on a fan after showering or even adding an oxygen-producing plants. By moving air through the bathroom, you’ll remove the moisture the mould needs to grow. And no toxic mould means no need for harsh chemicals. 2. Reduce. Reuse. Recycle. Reduce the amount of water consumed by installing low-flow toilets and shower heads, taking shorter showers and turning off the taps while washing your face and brushing your teeth. Reuse products whenever possible, such as towels and rags instead of paper towels to wipe down the bathroom. A number of items used in the bathroom can be recycled, including shampoo and body wash bottles, empty aerosol cans, empty toilet paper rolls and plastic bags and wrappers. 3. Upgrade your lighting. If you haven’t already made the switch from incandescent or CFL bulbs to LEDs, now is the time. LEDs generate less heat, consume 80% less energy and last 25 times longer. Switching to LEDs is one of the simplest ways to cut down on your energy bill and save money. Remember to only use lights in the bathroom when absolutely necessary and get in the habit of turning off bathroom lights when you’re done. 4. Nix the chemicals. Standard household cleaning products are loaded with harsh chemicals, which can be detrimental to your health as well as the planet’s. That skull and crossbones symbol does stand for ‘hazardous’, which should be the number one clue. Luckily, you have everything in your kitchen cupboards to get you started on creating all natural cleaning products. A bit of baking soda and vinegar goes a long way and will leave your bathroom sparkling. 5. Go all natural. Similar to bathroom cleaning products, your bath soap, shampoo and even your toothpaste contain chemicals that can damage your body. A good rule to live by - if you can’t pronounce the name of the ingredients in your personal care products, you shouldn’t use them. 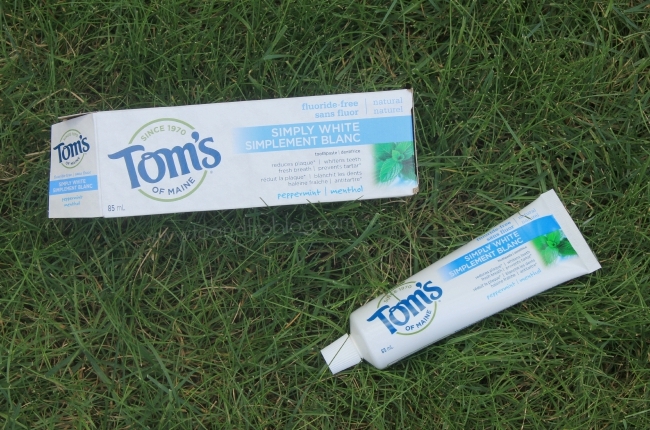 As a user of all natural face wash, lotion, shampoo and conditioner, we recently made the switch to the natural Tom's of Maine® Simply White® Clean Mint Cavity Protection Toothpaste (4.7 oz). 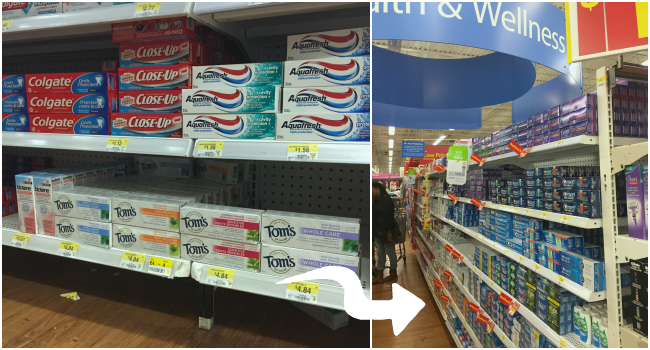 Found in the toothpaste aisle at your local Walmart, Tom's of Maine® products are made in Maine and do not contain artificial colours, flavours, fragrances, preservatives, animal ingredients. All toothpaste packaging is recyclable, and products are not tested on animals. 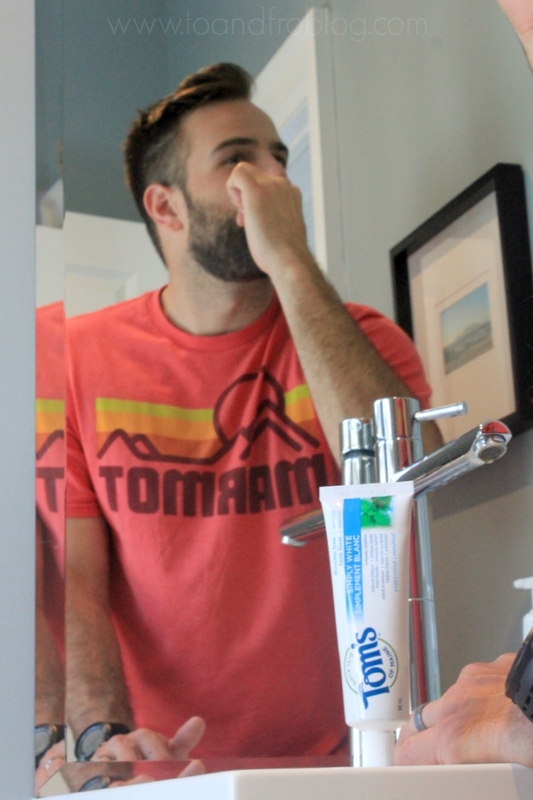 Aside from toothpaste, Tom's of Maine® also offers other natural products like deodorant, bar soap, and mouthwash. You can learn more about the products' ingredients, including their purpose and source, by visiting the Tom's of Maine® website. 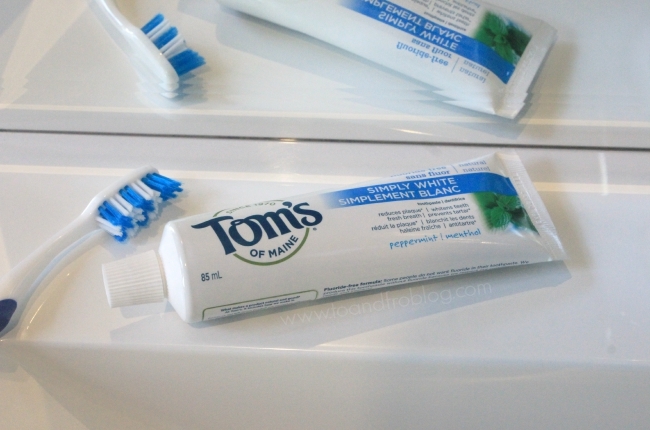 Interested in trying Tom's of Maine® Toothpaste? Check out the roaming demos happening in select Neighbourhood Walmart locations on September 19. Demos feature select Tom's of Maine® products, including samples and coupons. 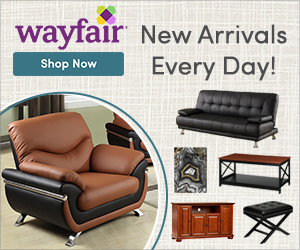 Check to see if they’re coming to a store near you here. 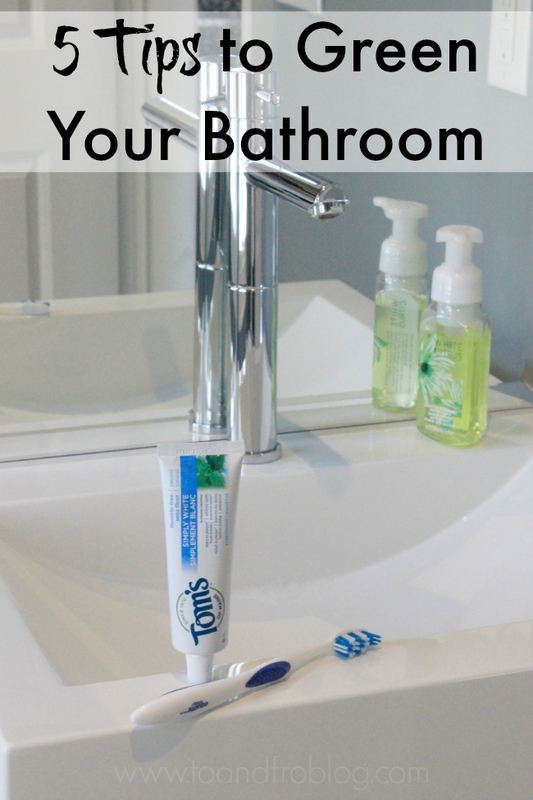 Don’t stop in the bathroom, challenge yourself to go green in other areas of your home! What natural choices do you make for your family? Have you ever tried Tom's of Maine® products? I'd love to hear!